The New Jersey Give a Kid a Dream (NJGAKAD) proudly announces new a programming opportunity dedicated to young girls, GIRLS in GLOVES. 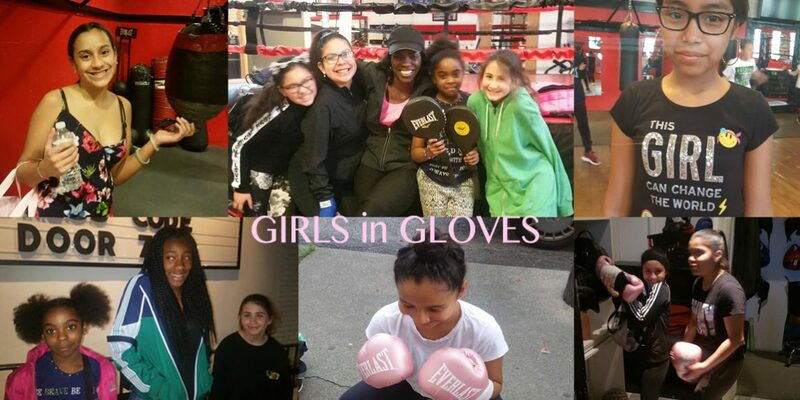 Created for girls between the ages of 9 and 16, GIRLS in GLOVES aims to teach young women all about the “self,” including self-defense, self-worth, self-confidence, self-awareness, self-empowerment, self-control and, most importantly, self-love. It’s more than just the gloves we wear in boxing; Women are warriors who wear many hats in life. GIRLS in GLOVES will bring young women together for essential programming all females need to become Champions of Life! At a time when women’s boxing is more important and popular than ever before, GIRLS in GLOVES will unite and inspire young ladies to achieve greatness in the ring and in life. Come learn more about GIRLS in GLOVES! When: Thursdays 4:30 – 5:30 p.m.
For more information, including opportunities to bring GIRLS in GLOVES programming to a chapter near you, contact Coach Jackie Atkins. You can email us at njgakad@gmail.com or call Coach Jackie Atkins directly at 732-768-4086. The New Jersey Give a Kid a Dream “Champions of Life” 501c3 non-profit foundation operates out of the infamous Gleason’s Jersey Shore Gym located in Long Branch, New Jersey.